The Chloe dining table is a medium-sized extension table that doubles its size, offering plenty of space while retaining a simple design. 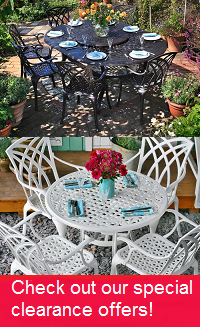 The extending Chloe table features a reliable 2 panel mechanism that extends to create space for up to 6 people, meaning that it is practical for your kitchen, dining room or conservatory. Buy today at our unbeatable price - before this set sells out. 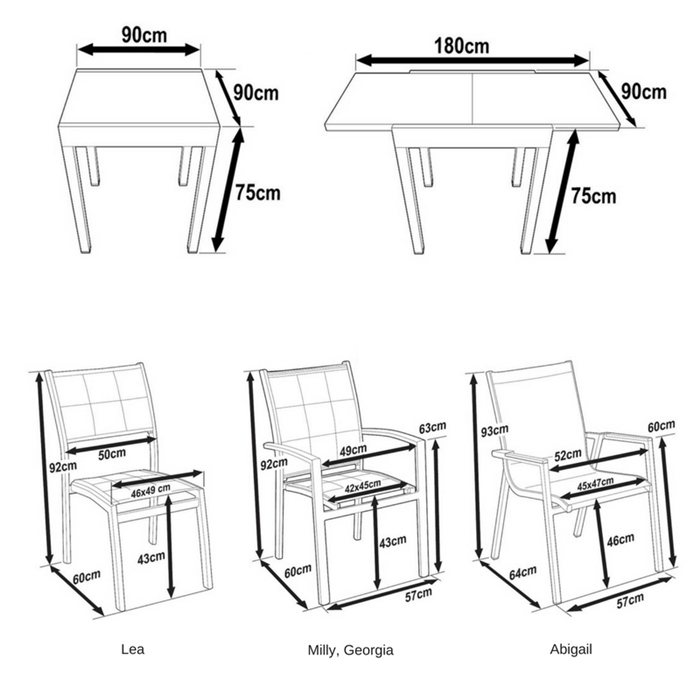 When you buy the Chloe table set, we offer discounts on further items, see the options above. Our indoor dining furniture range is made of modern materials in a timeless, simple style. Aluminium is strong, low maintenance, light, and easy to clean. Request a free sample and we will send it your way immediately.